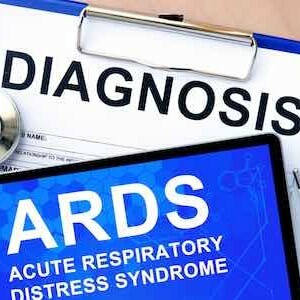 A newly discovered OGG1 inhibitor has been found to decrease lung inflammation in mice and could in future treat acute respiratory distress syndrome (ARDS), sepsis and autoimmune diseases. The six-year study, by an international team of researchers, is published in Science. The research shows that the OGG1 protein, which is involved in repairing oxidated DNA, signals inflammation. 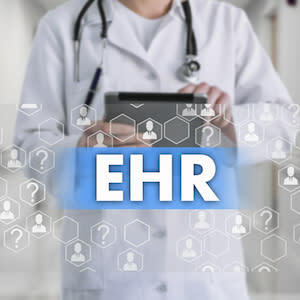 The researchers set out to make an inhibitor to OGG1, and demonstrated that the newly created inhibitor, TH5487, could prevent the onset of inflammation. Unlike other anti-inflammatory treatments the new research blocks the onset of inflammation that is associated with oxidative stress. TH5487 is a selective active-site inhibitor of OGG1 that hampers OGG1 binding to and repair of 8-oxoG. Lead author, Professor Thomas Helleday, Department of Oncology and Metabolism, University of Sheffield & Department of Oncology-Pathology, Karolinska Institutet, Sweden, explained in a media release that when oxygen regulation in cells goes wrong it can cause damage to DNA and trigger the immune system to responding. He added: "We found proof of concept that targeting oxidative DNA repair can alleviate inflammatory conditions in vivo. Isolating an inhibitor which can switch this response off is a major breakthrough and we are really excited about developing our research to see if we can not only decrease existing inflammation in other areas of the body, but prevent inflammation altogether. This would pave the way for new, effective treatments for life-threatening diseases like sepsis." The researchers conclude: "We have developed a pharmacologically useful OGG1 inhibitor that is a potent and selective active site binder that prevents OGG1 from engaging damaged DNA in vitro and in cells, resulting in decreased proinflammatory gene expression by a mechanism that is distinct from other established therapeutic agents (fig. S19). This is translated into a reduced neutrophil infiltration in mouse lungs challenged with TNFa or LPS, demonstrating that OGG1 inhibition may be a potentially useful strategy for the treatment of inflammation." Visnes T, Cázares-Körner A, Hao W, Wallner O, Masuyer G, Loseva O, Mortusewicz O, Wiia E, Sarno A, Manoilov A, Astorga-Wells J, Jemth AS, Pan L, Sanjiv K, Karsten S, Gokturk C, Grube M, Homan EJ, Hanna BMF, Paulin CBJ, Pham T, Rasti A, Berglund UW, von Nicolai C, Benitez-Buelga C, Koolmeister T, Ivanic D, Iliev P, Scobie M, Krokan HE, Baranczewski P, Artursson P, Altun M, Jensen AJ, Kalderén C, Ba X, Zubarev RA, Stenmark P, Boldogh I, Helleday T (2018) Small-molecule inhibitor of OGG1 suppresses proinflammatory gene expression and inflammation. Science, 362(6416):834-9. doi: 10.1126/science.aar8048. 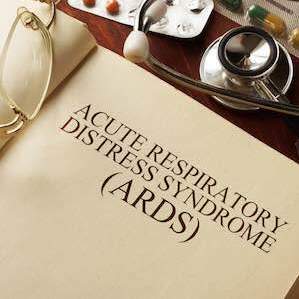 acute respiratory distress syndrome, lung inflammation, animal study, OGG1 protein A newly discovered OGG1 inhibitor has been found to decrease lung inflammation in mice and could in future treat acute respiratory distress syndrome (ARDS), sepsis and autoimmune diseases.